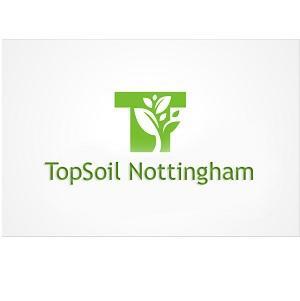 Topsoil Nottingham provides free fast delivery of top quality screened topsoil for garden landscaping or turfing. Delivered direct to you in one tonne bags or larger quantities can be loose topsoil. Our quality topsoil is obtained from local agricultural areas and then screened for particle size, is rich dark and loamy and no old building material is present, so is ideal for a multitude of uses in the residential environment. The topsoil is prepared for my collection in advance so is dry and and ready for the garden designer or home owner renovating the outside of the property and is in excellent condition and ready to use when it reaches you. I deliver the soil with my own Grab lorry in one ton bags of soil which can be supplied to awkward and hard to reach places on any site including over fences, narrow alleys and hedges if needed. There is a manual delivery if the area is extremely difficult to get to where no mechanical devices can be used. I operate from a central Nottingham site, but have my soil weighed and bagged ready to go from a local environmentally managed area. After you place your order it can usually be delivered free by the next day. Call Dean for a quote.